Shifted to discretionary trading on M3 charts. Trade 2: Failure to Continue at 7400. Good entry. Range a long time above entry. Booked below High Volume Pin Bar. Trade 3: Range Compression Entry. Loss. 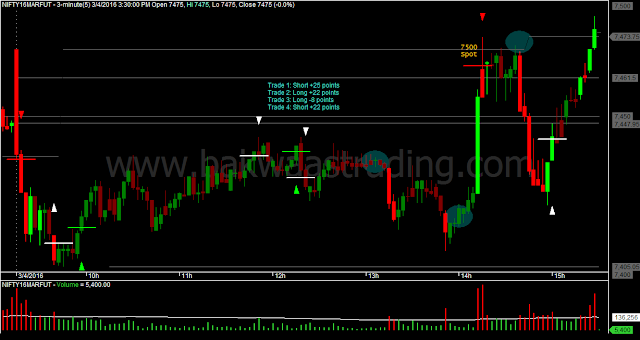 Trade 4: Breakout Failure of 7500 Spot. Took a quick entry, and had to wait out a lot of volatility. Exit was not too good.